Don Walker was named Co-Chief Executive Officer and a member of the Board of Directors for Magna International on April 3, 2005. As Co-CEO, Walker leads Magna, a $17.4 billion global automotive supplier that designs, develops and manufactures components and systems for the world's leading auto makers. Prior to being named Co-CEO, Walker was Chairman and CEO of Intier Automotive, a public company majority-owned by Magna International. Prior to taking Intier public, Walker was President and CEO of Magna from 1994-2001. Walker joined Magna in 1987. Before joining Magna, Walker spent seven years at General Motors in various engineering and manufacturing positions, including involvement in a new vehicle launch and new assembly plant. 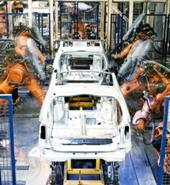 Manufacturers Association (APMA) and remains active in industry initiatives. In 1995, he was a recipient of the Top 40 Under 40 Awards in Canada and The Wall Street Transcript selected him as the Gold Award winner in the automotive parts industry. Walker was also named a "Global Leader for Tomorrow" in 1998 by the World Economic Forum, and in 1999 he received the Professional Engineers of Ontario Gold Medal Award. In July 2002, Walker became Co-Chair of the newly-formed Canadian Automotive Partnership Council (CAPC) with the Federal and Provincial Governments to identify both short- and long-term priorities that will help ensure the future health of the automotive industry in Canada. In 2007, Walker became a member of the Dean's Advisory Council, Faculty of Engineering, University of Waterloo. A native of Canada, Walker was born in 1956. Spotlight on Magna International Inc.
Magna International Inc. was founded in Toronto in 1957 and has grown to be the third-largest and most diversified automotive parts supplier in the world today. What started as a one-man tool-and-die shop in a garage now designs, develops and manufactures automotive systems, assemblies, modules and components, and engineers and assembles complete vehicles, for automakers around the globe. Magna's capabilities include the design, engineering, testing and manufacture of automotive interior systems; seating systems; closure systems; body and chassis systems; vision systems; electronic systems; exterior systems; powertrain systems; roof systems; hybrid and electric vehicles/systems; as well as complete vehicle engineering and assembly. As a key contributor to the global auto industry, Magna currently employs more than 83,000 people in 238 manufacturing and 60 product development and engineering centers located in 23 countries. Through our extensive automotive expertise and diverse capabilities, especially in the area of total vehicle integration, Magna has become a trusted partner to all major Original Equipment Manufacturers (OEM) around the world. Guided by a global presence, diverse capabilities, innovative products and a unique culture, Magna International is poised for the road ahead and is proud to be a leader in today's global automotive industry.